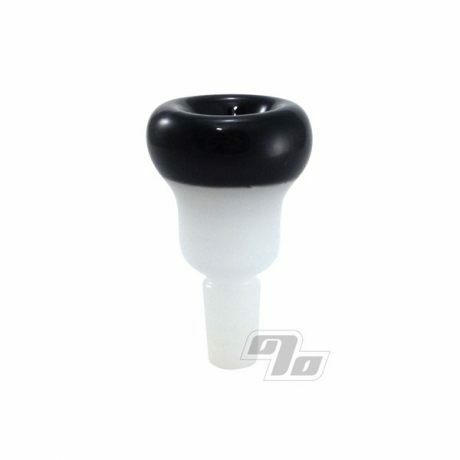 Handblown Black+White 2-Tone 14mm slider for the finest flower. Handblown means each one is unique. About 2.5" tall w/the widest part of the bowl hitting ~1.5" across. Cool + affordable American made glass from Boston. Nice little piece. Holds more than your standard one-hitter. Best bowl for the job! Bought this for my Huffy Showerhead glass slider minitube.Smooth design, fits perfect, bowl is larger than stock which means less refill and more chill. Thanks for the holiday treats as well, you guys rock!! !